A broadcast request to all and sundry, with no salutation, and no indication of subject area, file format, deadline, or anything else. In short, the perfect way to ensure that reputable translators will not even bother answering the message. I found your profile on ProZ, and I think you would be a good fit for this project. 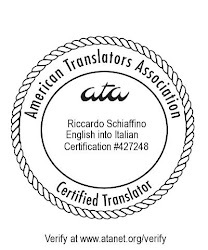 I have a legal contract of about 7000 words to be translated from English into Italian. The deadline is next Friday, by 11 AM (EST). I would really appreciate it if you could send me a quote for this job. Let me know if you need to see the original document to draft your quote: I can send you a preliminary version of the document (the final copy will be ready on Monday), but first I would need you to sign a NDA, given the confidential nature of this document. A little courtesy, and more information, undoubtedly yield better results. I couldn't agree more. We are too busy and life is too short to read, yet respond to unprofessional messages of the first type. If senders cannot bother to be professional, we just hit the "delete" button. It really is a wonderful little button! Of course, this might be a great time to do some gentle client education, but only if we have some extra time! Reading this example makes me think we are working in a kindergarden. It is hard to believe that such basics need to be explained to PJMs and agencies. Saving this link to send to a particularly rude acquaintance, next time he sends me a message along those lines. In his particular case (and I'm going to assume its similar for the PM above) I think there's an assumption that you're just dying for their contract and that you'll drop everything to make time for them. Its a arrogance, and of the specific kind that holds little regard for other people's time and work.